Paring knife - The handy all-purpose knife. High carbon Japanese stainless steel blade. Our COLORI Paring Knife can handle all your kitchen-prep tasks. Perfect for slicing cheese for your sandwiches, peeling an apple for a snack or chopping vegetables for the salad. They're so fun and colourful you'll want to use them at the table, too! Paring Knife Colori's high carbon Japaneser stainless steel blade means a super sharp edge and long-lasting performance. The nonstick coating ensures foods will release from the blade making each cut easier and neater. 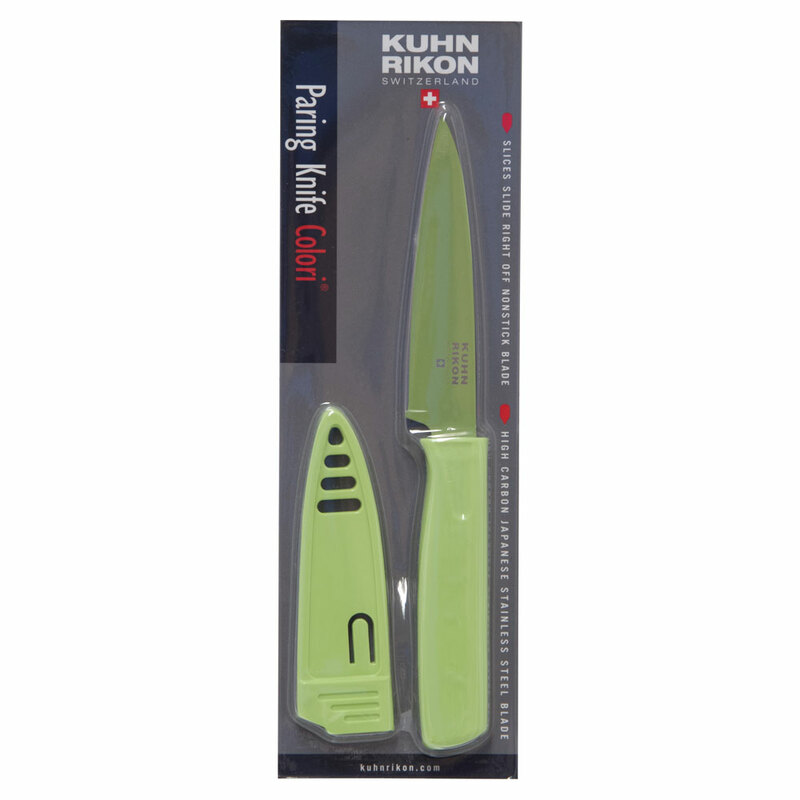 Available in 6 eye-catching colours so you can colour co-ordinate knives with different foods. The matching sheath is great for storage, camping, picnics and travel.